Make the Gnocchi - Roast the potatoes at 350°F with a little bit of salt and olive oil until tender. Remove the skins and run the potatoes through a ricer, or food mill. Mix 2 cups of the cooked potato with 1 cup of flour. Mix well, but be gentle and do not over mix. Roll the dough into thin logs. With a fork, cut into gnocchi sized pieces. 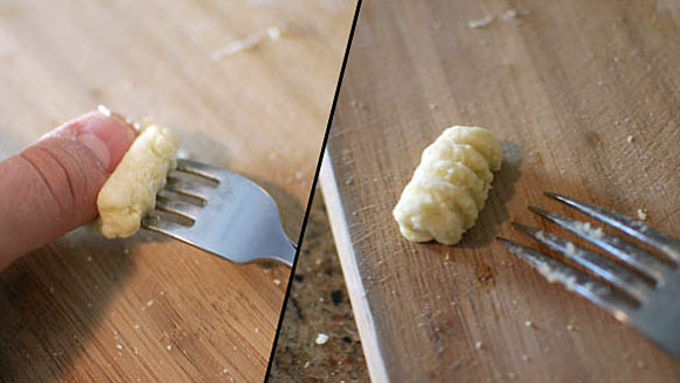 Use either the back of the fork or a gnocchi board to roll the gnocchi into the traditional shape. Roast the Cauliflower - Break up the head of cauliflower into uniformly small pieces. Toss in a splash of olive oil and salt and lay on a baking sheet. Bake at 550°F or as high as your oven will go until browned and cooked through. Make the Sauce - Slice the onions into thin strips. Mince the garlic and ginger. Saute the onions in the butter until very browned. Add the garlic, ginger, and curry powder and mix well. After only one minute, add the tomatoes. Stir well and scrape the bottom of the pan to release any buildup. Add in the peas and simmer for a few minutes. Bring it all together - Boil your gnocchi for about 5 minutes until they are floating and fully cooked. Strain. Gently toss the gnocchi and the cauliflower with the sauce. Garnish with cilantro. 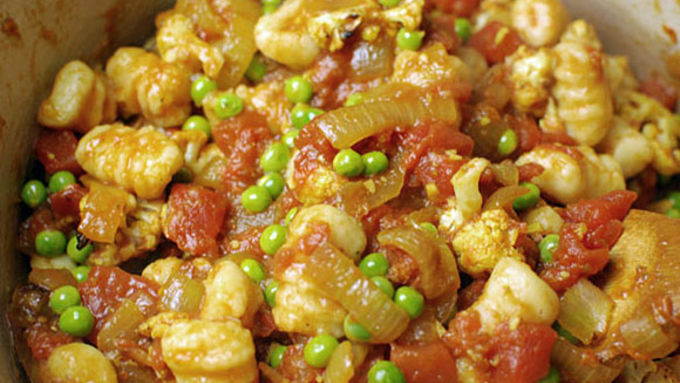 My favorite Indian dish is Aloo Gobi, which literally translates to potato (aloo) and cauliflower (gobi). Since gnocchi is mostly potato, I thought it might be fun to swap out the potatoes in this dish for some of the succulent little potato dumplings. The switch really lightened up this heavy dish that is often laden with dense potatoes. Aloo Gobi has enough of a sauce that there was no reason to really change any other aspect of this dish. The peas, cauliflower, and tomatoes were such a natural pairing with the pillowy gnocchi. 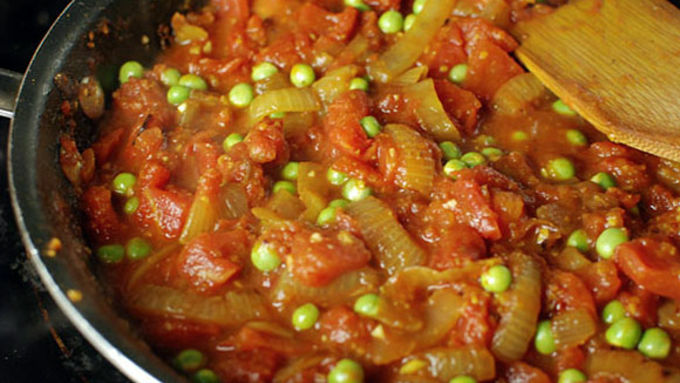 This recipe is a veggie-packed cure for indecisiveness. 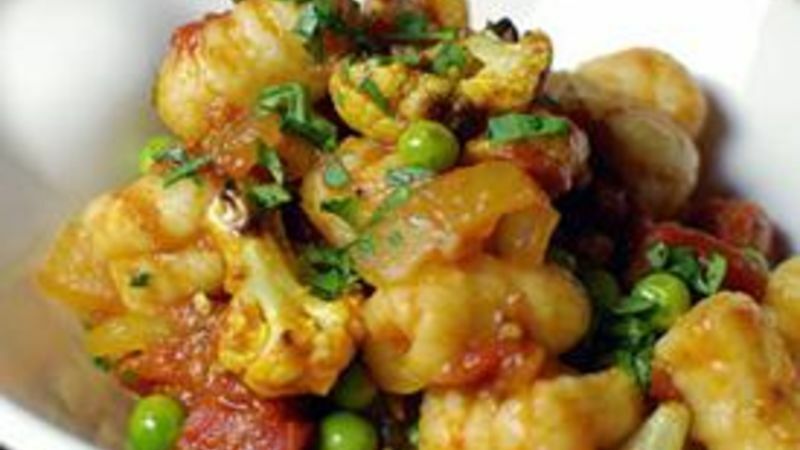 Next time you aren’t sure if you want to have Indian or Italian, compromise with a big bowl of Gnocchi Gobi!